At Pets Held Dear we understand what it really is to lose a pet and are here to help in any way we can. 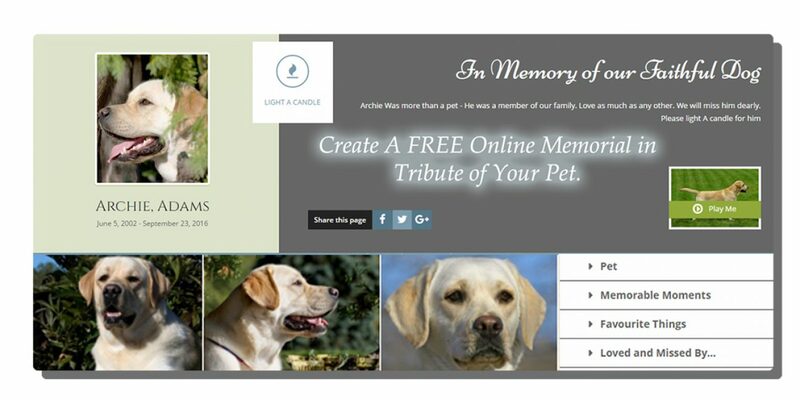 As well offering pet bereavement advice, our website allows you to create a FREE Online/Virtual memorial to your pet and share it with friends and family. They, in turn can light an “online” candle with a personal message on your memorial page, and help to share your grief. 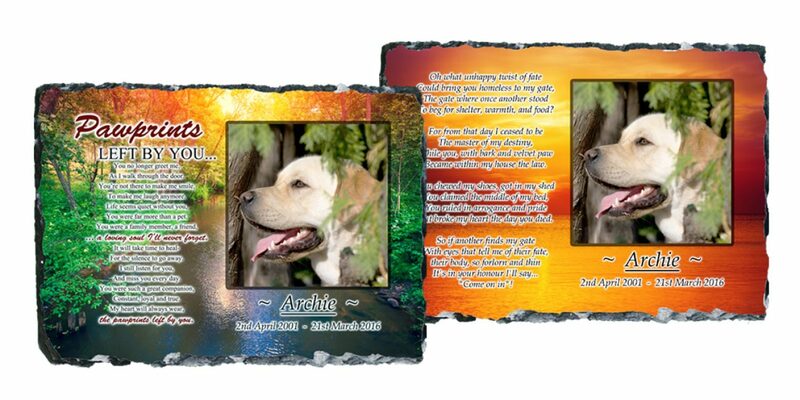 We also offer Beautiful slate memorials which you can design online and have shipped to your door. Every memorial we produce is given the same love, care, and attention to detail that you expect. In addition to hundreds of amazing reviews; we receive emails, calls, and letters every week from customers who simply wanted to say “Thank You”.